Top Dem on Kavanaugh accuser's credibility: 'What in the hell did she have to gain’ with allegation? Democratic senator says Christine Blasey Ford has come under death threats. A top Democrat on the Senate Judiciary Committee said the woman accusing Supreme Court nominee Judge Brett Kavanaugh of sexual assault is "a credible witness" who has been subject to death threats since coming forward with her allegation. Ford alleges that Kavanaugh sexually assaulted her at a house party when they were both teenagers in the Maryland suburbs in the 1980s. Kavanaugh has strongly denied the claim as a "completely false allegation." "The people who know him best over every phase of his life say nothing about what she has said comports with the way he’s conducted his life," said Sara Fagen, a CNBC contributor who was a senior aide and White House political affairs director to President George W. Bush, under whom Kavanaugh also served in high-level positions. Fagen said that Ford’s allegation “should be heard,” but also noted the impact on Kavanaugh. “This is a serious allegation, she is alleging a serious crime by a person and in doing so, you know, really questioning his reputation and potentially putting him in a terrible position over the rest of his life,” Fagen said. “I know it because I know his character, and I know it because I have worked with this person in incredibly grueling situations in the White House ... I've socialized with him. I've been in large groups with him, small groups with him,” Fagen said. She added that she “never saw him drink excessively. He was always a responsible person." In the interview with Durbin, Stephanopoulos asked if Democrats might press for more information about Kavanaugh’s reported drinking in high school. 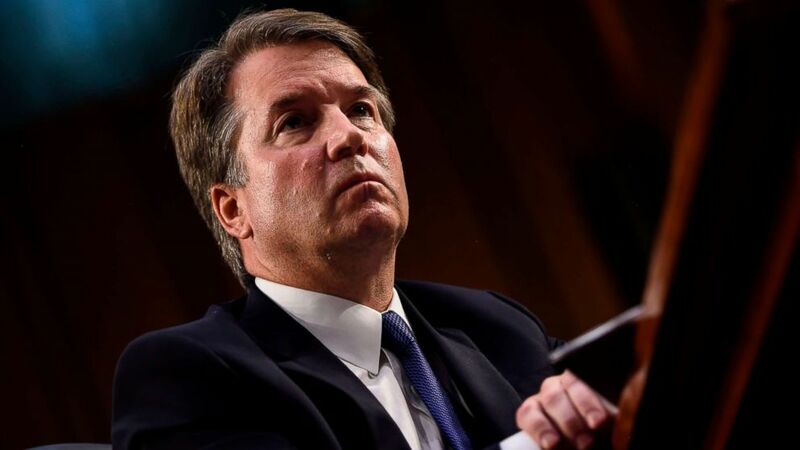 Kavanaugh in a speech in 2014 recalled nights of heavy drinking while in law school, and in a truncated video clip circulated last week of a 2015 speech, he said of his high school years, “What happens at Georgetown Prep, stays at Georgetown Prep,” The New York Times reported. “That’s been a good thing for all of us, I think,” he added. In his high school yearbook, Kavanaugh listed himself as treasurer of the “100 Kegs or Bust” club, The Washington Post reported. Ford told The Washington Post that Kavanaugh and the other male teen were "stumbling drunk" at the time of the alleged assault. 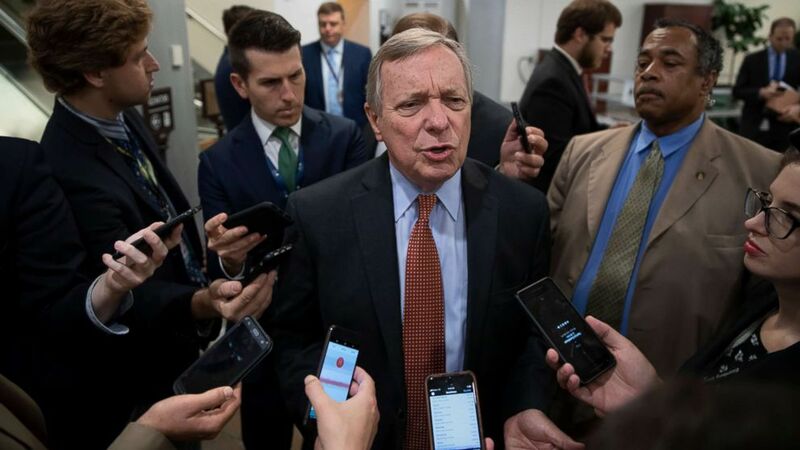 Durbin on "This Week" also said he doesn’t think Ford has “been treated well during the course of” negotiations with the Senate Judiciary Committee’s Republican leadership over conditions for her to testify. Committee Chairman Chuck Grassley, R-Iowa, initially insisted on a hearing Monday on Ford’s allegations, though the tentative date has now been pushed back. 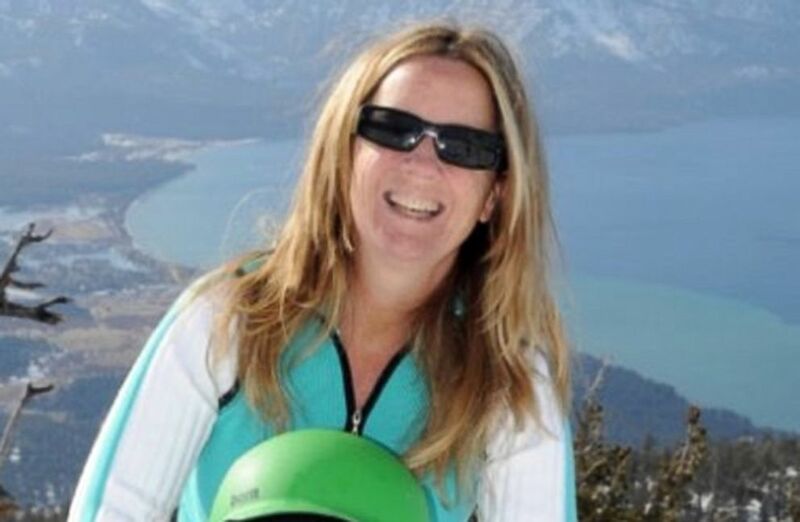 Ford has also asked for an FBI investigation of the alleged assault, which has been denied.